Researchers from ANU are working with the Cowra (NSW, 2794) community on a community-driven research project which explores the theory and research methodology of Justice Reinvestment as a way of reducing incarceration of juveniles. In addition to an inter-disciplinary research team, the research is being guided by a Research Reference Group comprising representatives of the Cowra Shire Council, representatives from the Cowra Aboriginal Land Council, the President of NSW Children’s Court, an ANU-based human rights lawyer and US-based JR academic. Jill Guthrie is a Research Fellow at the National Centre for Indigenous Studies at the ANU. 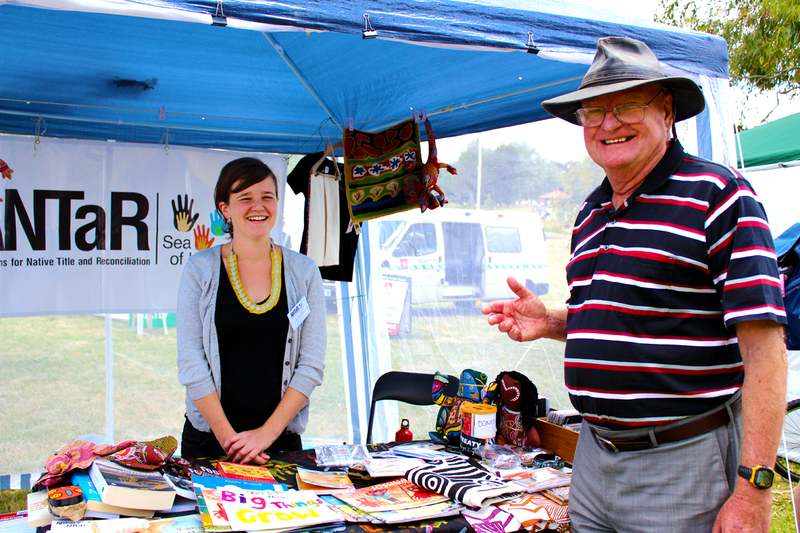 ANTaR ACT stall at Woden Community Festival.